Valentine’s day is around the corner and if you, like us, decided to celebrate it in the coziness of your home preparing a fancy meal than here it is a great recipe for you! This year Valentine’s day falls in a week-day therefore it’s difficult to prepare a grand and sofisticated meal coming back from work in the evening. So chosing quick and easy recipes is the best way to prepare a nice meal and still have some energy left. Tuna steaks are the first thing that comes to my mind. 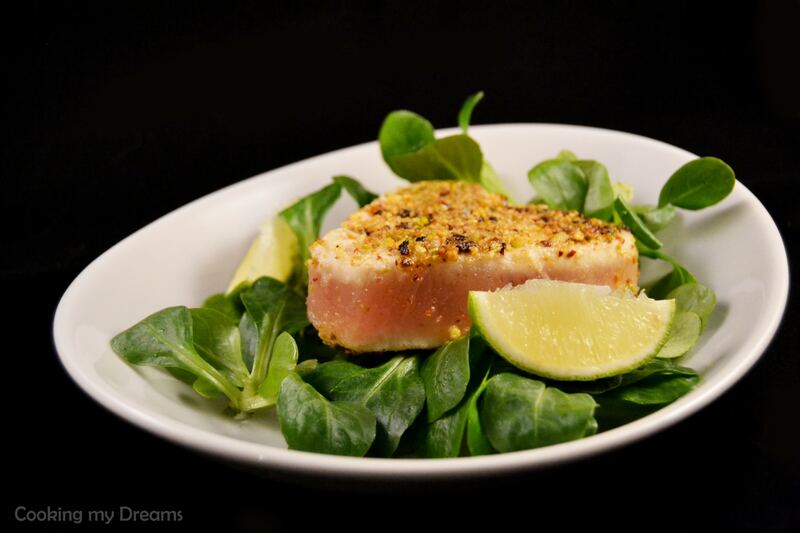 Tuna is so light and flavorful and so incredibly quick to cook! This version with pistachios and dried tomatoes give it an extra kick with flavor, crunchiness and saltiness. Rub the tuna steaks in extra-virgin olive oil and set them aside. Finely chop the sun-dried tomatoes and the pistachios and mix them together in a small bowl. Add the poppy seeds and the breadcrumbs to the bowl and season well with salt and pepper. Transfer the mix into a small plate and press the tuna steaks until well coated. If the crusting mixture does not adhere properly to the tuna, it means it's either not chopped enough or the steaks are too dry. 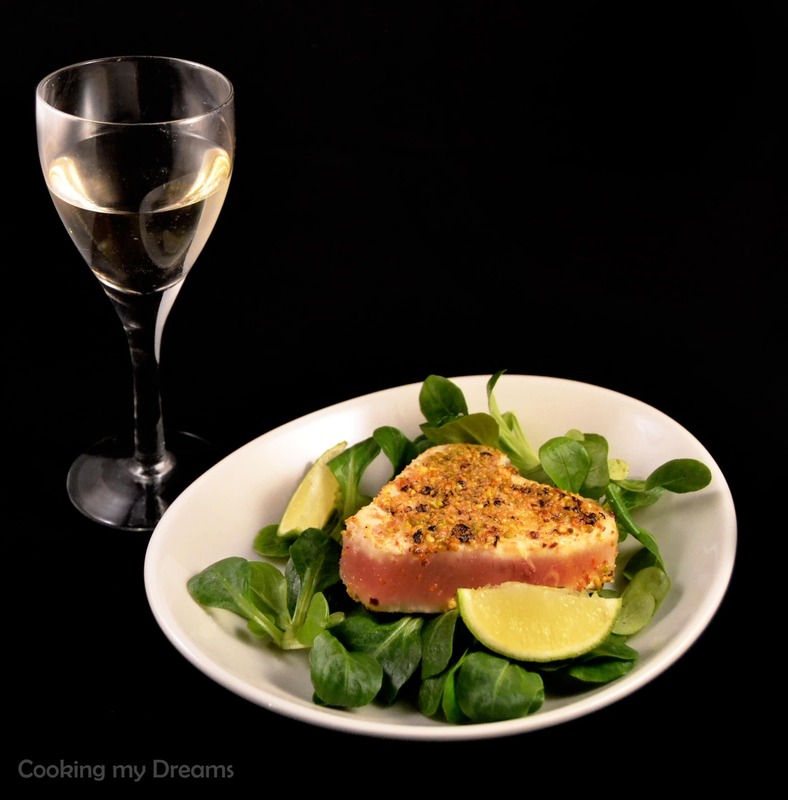 Drizzle some olive oil in a pan and when hot add the tuna steaks. Sear for about 1 minute on each side and serve immediately. What are you going to cook for your Valentine?